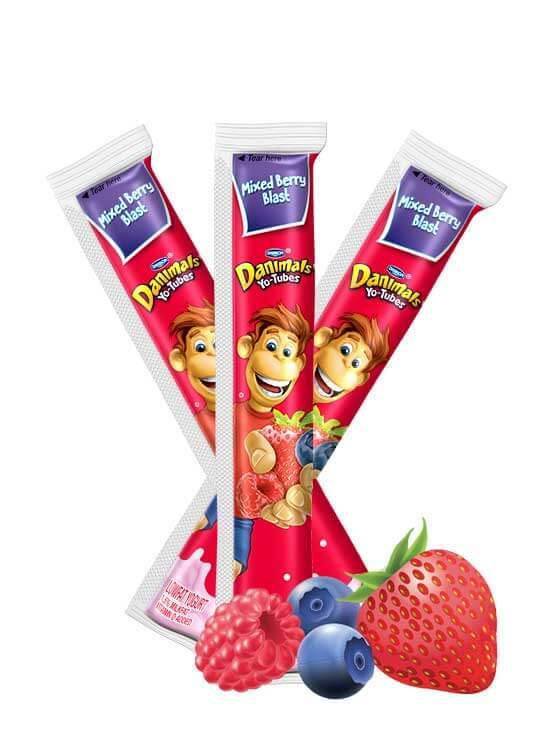 The delicious fruity flavors of Danimals lowfat kids’ yogurt now in fun and convenient tubes! 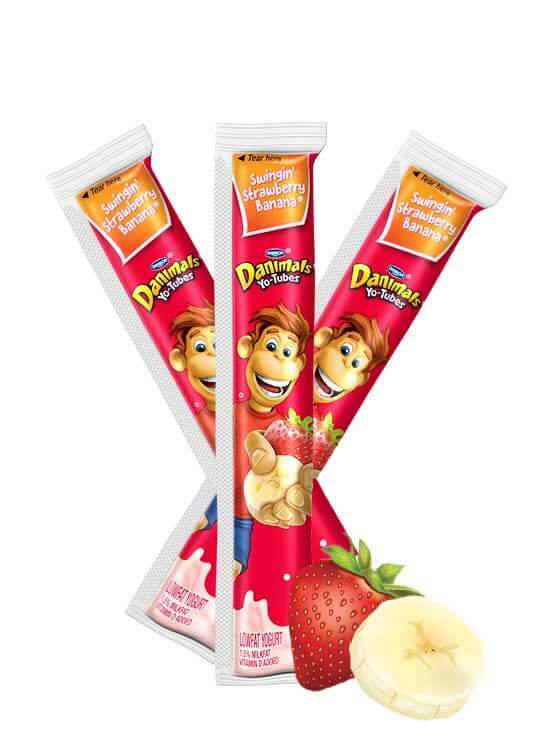 Danimals Yo-Tubes are made with natural, with vitamin D in delicious flavors. 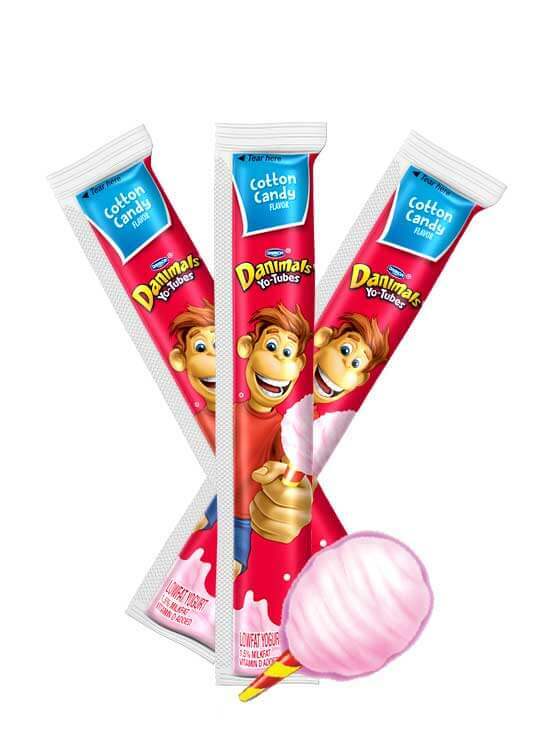 Plus, they contain no colors or flavors from artificial sources or preservative ingredients. 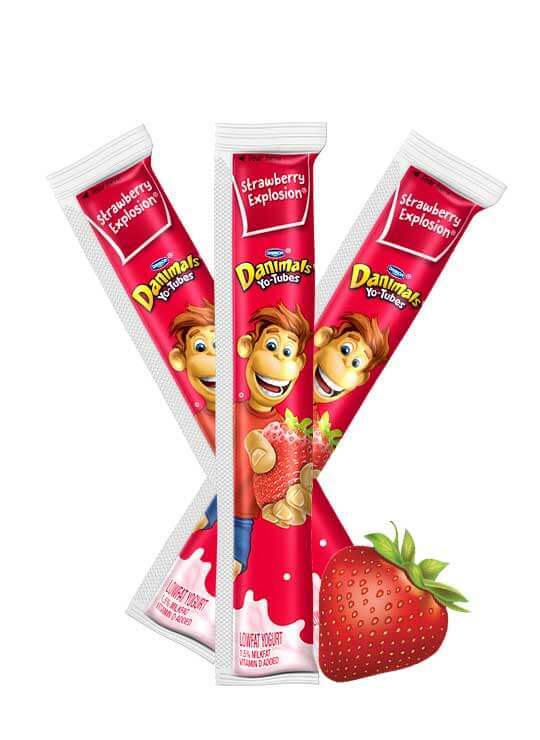 They’re great for lunchboxes or as an on-the-go snack. Find out where to buy Yo-Tubes.